John Jay Almy was the first naval officer to serve as the Commander-in-Chief of the Military Order of the Loyal Legion of the United States. As Senior Vice Commander-in-Chief he succeeded Major General and President Rutherford Birchard Hayes upon the latter's death in January 1893 and served as Commander-in-Chief until his own death 16 May 1895. Rear Admiral Almy's career was one of considerable length and he certainly had his share of excitment and thrilling experiences on the high seas in both the Mexican and Civil Wars. He was a blue water sailor who began his naval life at age 14 as a Midshipman beginning as an apprentice on the U.S.S. Concord in 1830. Born in Newport, Rhode Island, on April 24, 1815, he lost his parents while still a boy and the Navy was really the only home he ever knew for many years. He rose through the ranks becoming a Passed Midshipman in 1835 at the conclusion of his cruise on the U.S.S. Ontario in Brazilian waters. He then served on a receiving-ship at New York from 1836 to 1837 and then transferred to the U.S.S. Cyane serving in the Mediterranean as an Acting Master and navigator. Almy was promoted to Lieutenant on March 8, 1841 and assigned to the U.S.S. Bainbridge serving in the Caribbean. From 1843 to 1845, Lieutenant Almy served on the U.S.S. Macedonian primarily on the African coast. During the Mexican War, he sailed on the U.S.S. Ohio and participated in the capture of Vera Cruz and Tuspan. Following the war, he was assigned to the Coast Survey working for five years on the coasts of Virginia, North Carolina, and on the Chesapeake Bay. With the outbreak of William Walker's "filibustering" expedition against Nicaragua in 1857, he was given command of the U.S.S. Fulton in the squadron under Commodore Hiram Paulding. He continued in command of the Fulton in an expedition to Paraguay in 1858-59. The beginning of the Civil War found John Almy on duty at the Navy Yard in New York. He was commissioned Commander U.S. Navy on April 24, 1861 and given command of the U.S.S. South Carolina serving on station with the South Atlantic Blockading Squadron. He then assumed command of the U.S.S. Connecticut on the same station and it was while on that duty that he had his most exciting encounters on the high seas with the enemy blockade runners. During the 14 months he commanded the Connecticut he captured four steamers; Juno, Scotia, Minnie, and Greyhound. The Admiralty Court adjudged the value of these vessels and cargoes at $1,063,352.49. The Connecticut also drove ashore and destroyed four other blockade runners; Phantom, Herald, Ceres, and Diamond. The success of these operations made Commander Almy and the Connecticut heroes in the North and villains in the South. John Jay Almy, in an address to the Commandery of the District of Columbia in 1882 described the action which resulted in the capture of the Juno, It was a bright pleasant morning off shore, and out about 70 miles from Wilmington, when, at daylight, she was discovered. Chase was immediately given, and in three hours she was a prize. When the captain was brought on board he was greeted with the usual Good morning, with the additional remark, Glad to see you, to which he replied, D----d if I am glad to see you. I suppose not, I remarked. I didn't blame him at all, for to him it was becoming acquainted under very unpleasant conditions. A week before the Juno had safely run the blockade in - had discharged her English cargo, had taken on board the usual Confederate American cargo of cotton, tobacco, and turpentine, and was now bound to Nassau." Among other letters found on board of the Juno was one left open and unfinished, commenced at Wilmington and addressed to the owners in England, in which the captain described the successfully running in by the sleepy-headed Yankees at night, and that he expected to be lucky enough in running out of which he would inform them upon his arrival at Nassau, when he would close and send his letter. But the said letter never reached Nassau nor England. Almy also described a typical pursuit of a blockade runner, We knew that blockade-runners were expected. The tides and the state of the moon were favorable to them. The moon went down early. Orders had been given that at that time every vessel should have her anchor up, with steam up and ready to start. The vessels, four in number - Connecticut, Georgia, Emma and Buckingham - were swinging about, and a little steam used to keep them in their assigned positions. They were like restless race-horses awaiting the order to "Go! "The officer of the deck was lying down upon his stomach on the hurricane-deck sweeping the horizon with his glass when he reported that there was something moving upon the water like a blockade-runner. The commander looked, and confirmed the report. Orders were immediately given to start, and move with full speed. Two shotted guns were fired at her, when she changed her course, stood off under full speed and was lost sight of. In this move she met with the Georgia, which vessel started after her and drove her off. She was faster than most of our vessels, and in the dark, as it was, she could soon run out of sight. Continuing in her persistency to enter (the harbor), the Emma met her and drove her off. But she wasn't going to give it up. She had now stood pretty well over towards Smith's Island, thinking she might get in by running close along the land. And now the fourth time she attempted it, when the Buckingham espied her, opened her guns, and drove her off. As we didn't see nor hear anything more of her that night, we supposed that she had gone out to sea, to try it perhaps another night, which they frequently did. " But at day-break the next morning, lo and behold! there was the steamer hard and fast ashore. She had been forced off and shoved over so many times that she was nearer the land than she had calculated, and had run badly ashore. Attempts were made by our vessels to get her off, which was found impossible. A few days after, a gale of wind came on, which broke the vessel to pieces. She was found to be the noted English blockade-runner Herald. The officers and crew had left in their boats, and landed on Smith's Island in the dark of the night. This steamer had been running between Bermuda and Charleston, had made ten or twelve successful trips, and had paid for herself several times over. She had now changed her blockade-running route to between Nassau and Wilmington, which proved bad luck to her, as she was wrecked on this her first trip. John Almy's most publicized capture was that of the Greyhound on May 10, 1864. On board was the notorious Southern spy Belle Boyd. Belle, in her book, Belle Boyd in Camp and Prison, described the pursuit and capture of the Greyhound . Commander Almy's report noted that they had stopped and boarded the Greyhound at 1:40 P.M. and found the cargo to be cotton, turpentine and tobacco. Among the passengers was the "famous rebel lady, Miss Belle Boyd, and her servant." A prize crew was put on board and the ship proceeded to Boston via Fortress Monroe and New York. Following several weeks stay in Boston, Belle was escorted to the Canadian border and released. Commander Almy was commissioned Captain on March 3, 1865 and took command of the U.S.S. Juanita. He cruised along the coast of Brazil and then sailed to the south coast of Africa where he remained on station for the next two years. Returning to the United States, Captain Almy was assigned to ordnance duty at the Navy Yard in New York serving at that post through 1869. On December 30, 1869, he was commissioned Commodore and became Chief Signal Officer of the U.S. Navy. His promotion to Rear Admiral came on August 24, 1873 when he assumed command of the U.S. Pacific Squadron. Rear Admiral Almy was instrumental in suppressing a revolt in Panama in October 1873, protecting transportation across the isthmus, and saving the city of Panama. In 1875, he received the Order of Kamehameha I from King Kalakua of Hawaii for services rendered to the King during a visit to the United States. Rear Admiral Almy resigned from the naval service in April 1877, having reached retirement age as prescribed by law. At the time of his retirement, he had served longer at sea than any other officer in the history of the U.S. Navy, 27 years and 10 months; his service ashore was 14 years and 8 months. It was a truly extraordinary career and he recieved many tributes in the nation's press. 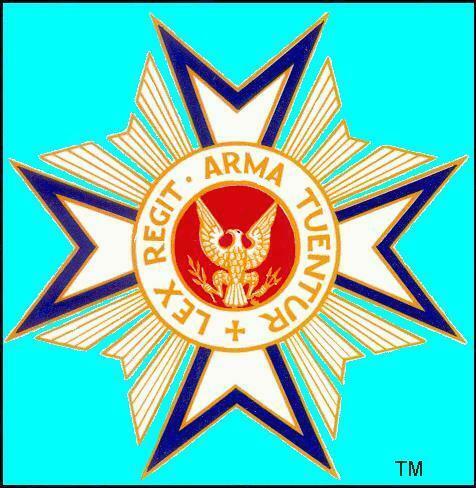 Rear Admiral John Jay Almy was elected a Companion of the Military Order of the Loyal Legion of the United States on May 6, 1868 through the Commandery of New York and was assigned Insignia Number 740. On February 1, 1882, he transferred to the Commandery of the District of Columbia as a charter member. 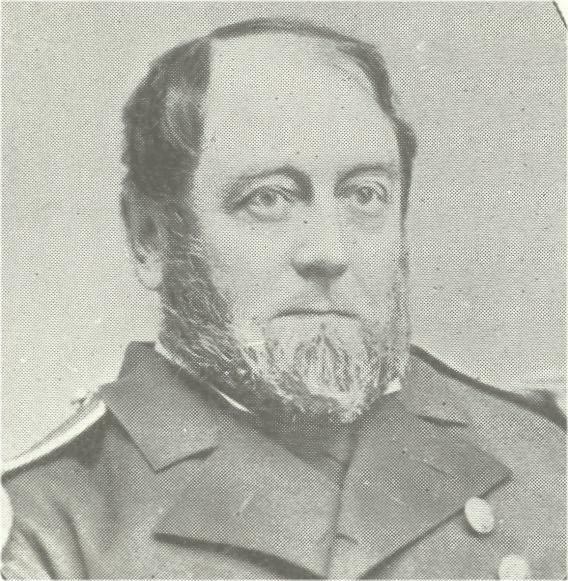 He served on the Council of the District of Columbia Commandery during 1882-83 and as Senior Vice Commander during 1887-1888. He was elected Senior Vice Commander-in-Chief of the Commandery-in-Chief on May 14, 1891 and served in that office until 1893 when he succeeded Rutherford Birchard Hayes as Commander-in-Chief. Rear Admiral Almy died on May 16, 1895 in Washington D.C. He was succeeded as Commander-in-Chief by Brigadier General Lucius Fairchild. John Jay Almy was marred to Alida Gardner. They had three sons and two daughters. Lieutenant Augustus C. Almy followed his father in Naval Service and Lieutenant William E. Almy joined the Army. Also surviving were Charles J. Almy, Ann E. Almy, and Sarah G. Almy. The funeral services for John Jay Almy were at the Church of the Epiphany in Washington D.C. and he was interred at the Congressional Cemetery.